TYCIS operates a UK styled curriculum offering course validated by Cambridge International Examinations (CIE). The School utilises UK nomenclature for its student year groups and classes and adopts the CIE grading system. The school is highly selective and admits high achieving students to Year 10 – 13 only for IGCSE, AS and A Level courses with CIE.
TYCIS is an authorised Cambridge International Examinations (CIE) Centre, delivering IGCSE and Advanced Level (AS and A Level) courses to full-time students. All students are academically selected based upon previous academic and personal achievements and English proficiency. Scholarships are awarded to exceptional applicants. Current exam results are amazing rivaling the top UK private schools. IGCSE A* -C 98%, AS A-C 97%, A2 A* 100%, (Total CIE subject entries 296). 66% of the first cohort of graduates were interviewed at either Oxford or Cambridge with 40% being accepted. All other graduates secured places at top universities in the UK, USA, Hong Kong and Canada. 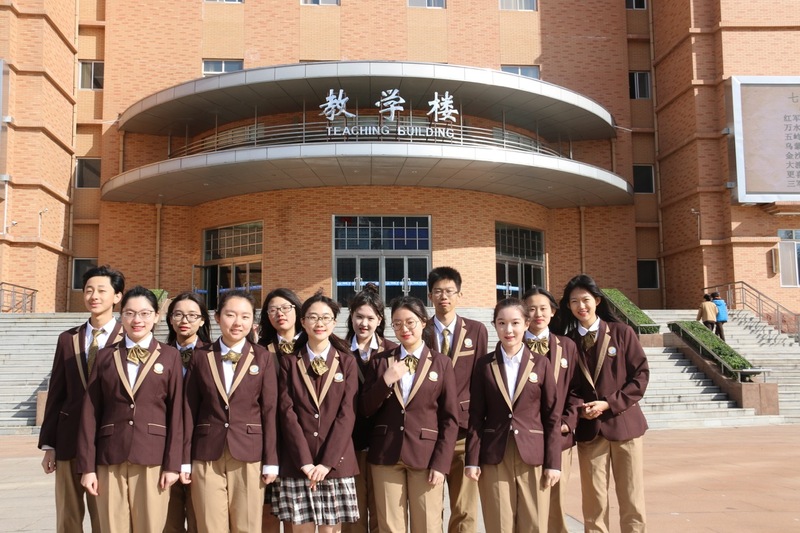 At TYCIS we are proud to say that we are currently the only school in Tianjin that has its students accepted into Oxford and Cambridge. At Tianjin Yinghua Cambridge International School, we are incredibly proud to say that three of our students achieved the highest grades in the World for their respective exams. We fully anticipate that this continues and that our future achievements are even higher.